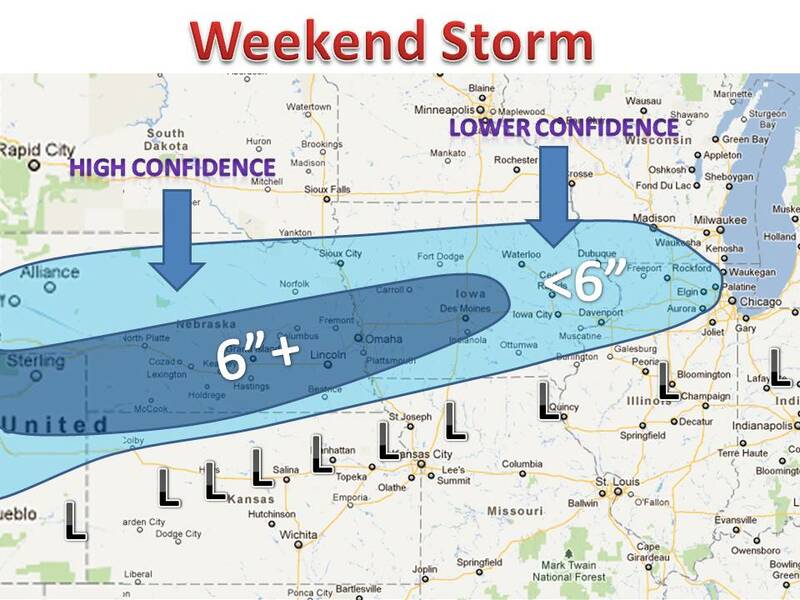 A storm storm will bring near blizzard conditions to parts of the plains on Saturday and then progress northeast, but weaken rapidly. This is a closed low, meaning it will be strong, short lived and can dump massive amounts of snow in isolated areas. 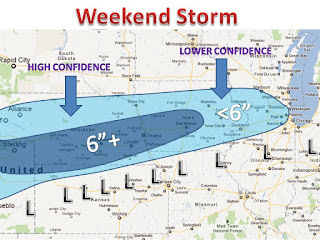 Confidence is pretty high for Nebraska an Iowa, but for parts east it depends on how long the storm will stay together. It really depends on what model you believe in. The NAM and DGEX hold the system together for some snow to reach Wisconsin and Illinois, but the GFS, SREF, CMC, GEM shows the closed low falling apart before reaching the Mississippi river. The EURO has the storm falling apart around the river, but hold light show into WI and IL. Either way, someone in Nebraska or Iowa will see a foot of snow, maybe even 18". stay tuned! a more in depth snow forecast tomorrow.